It is re-printed here with Meg’s kind permission. There are few things that can more quickly cause me to pull out my soapbox and climb up for a rant than the implication that science and faith are at odds. ‘I don’t believe in God, I believe in science,’ they say, to which I respond, ‘You’re welcome.’ For science, that is. It was invented by a Franciscan friar, after all. And you’re welcome for genetics (Augustinian monk). And the Big Bang Theory (Jesuit priest). 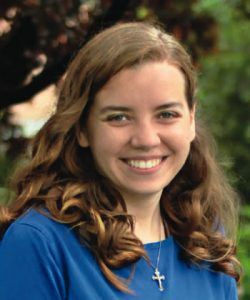 And I rant and I rave about how sciencey the Church is. Because there is simply no such conflict. Venerable Takashi Nagai speaks simply on the alleged conflict between science and faith: If you read what the great scientists actually said, it is not so. Social and literary critics, that is, men who have held pens but never test tubes, are the ones who make that claim. 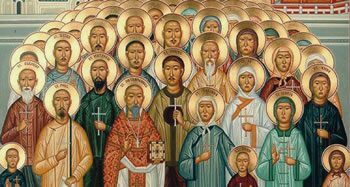 So, in the interest of dispelling that silly rumour, and introducing you to some new Saint friends, I thought it would be good to collect some of our more scientifically brilliant Saints. Not just Sunday-Mass Catholics who were scientists, but Saints. Not just Saints who could do chemistry or build a bridge, but pioneers who changed their fields forever. Turns out, there are rather a lot, but let’s start with these. He was the bishop of Laodicea and a leading scholar in all the natural sciences (including arithmetic, geometry, physics, rhetoric, dialectic, and astronomy) as well as being an Aristotelian philosopher. He was an abbot, a mathematician, a liturgist, an historian, and an astronomer who worked on the theory of numbers before the introduction of Arabic numerals. He was stabbed to death for working to reform a monastery of not-so-holy monks. Herman was born severely disabled (cleft palate, cerebral palsy, and spina bifida or possible spinal muscular atrophy) and raised in a monastery. He wrote on geometry, arithmetic, history, astronomy, theology, and music theory. When he eventually went blind, he turned his attention to composing, most notably the Salve Regina. He is called the last man to know all there was to know. He taught St. Thomas Aquinas, whose work was so impressive that nobody could know all of Thomas’ work and all of the rest of the world’s scholarship. 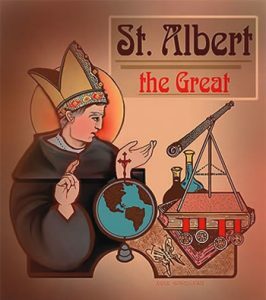 In addition to being a holy bishop, St Albert wrote on philosophy, theology, botany, geography, astronomy, zoology, music, and physiology, mostly with remarkable accuracy, especially given the time. Nicolas was a convert to Catholicism, a bishop, a pioneer in anatomy and geology, and the father of paleontology because he discovered what fossils were. His laws of stratigraphy are still in use. And he managed all this before dying at the age of 48. He was a nobleman, an army officer, and a cartographer before earning a doctorate in maths and devising a theorem on derivatives of composite functions that is named after him. He published around 40 articles in respected mathematical journals over the course of his career. Oh, and he was also a social reformer who worked with St. John Bosco and then a priest and the founder of religious order. Plus he worked to help women escape from human trafficking. Saint Giuseppe was a dedicated single layman, a doctor who served the poor for free and risked his life to rescue elderly patients during a volcanic eruption. 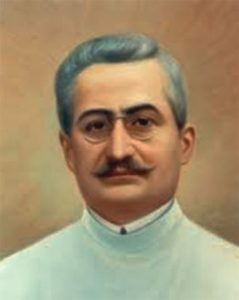 He was a pioneer in the field of biochemistry whose published research led (among many things) to the discovery of insulin as a treatment for diabetes. He was among the first to use CPR and his innovative patient-centred method influenced the field as a whole and encouraged a more holistic approach to medicine. 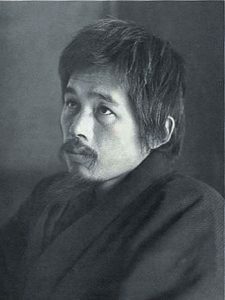 Takashi Nagai was a married Japanese doctor and convert from Shintoism and atheistic nihilism. The father of two worked at the leading edge of radiology research, eventually contracting leukemia from his exposure to radiation. His condition was dramatically worsened by the atomic bomb that incinerated his wife when dropped on Nagasaki. The poetry he wrote over the next several years, about suffering and forgiveness, transformed the way the Japanese responded to the catastrophic end of World War II. He was a married French pediatrician, geneticist, and father of 5 who discovered that Down Syndrome was caused by an extra copy of chromosome 21. His later work identified several other diseases caused by chromosomal abnormalities, all of which together earned him the William Allen Award, the world’s highest honor for genetics. In addition to his scientific research, Lejeune was a vocal pro-life advocate, concerned especially with defending children whose lives could be threatened by their prenatal genetic diagnoses. I’d like to include here also a number of canonised, or soon-to-be-canonised, physicians, though they weren’t research scientists or pioneers in mathematical or scientific fields. By separating them from the others, I don’t mean to imply that medicine isn’t a serious science, only that people tend to be less surprised when someone in the ‘caring professions’ is a Christian, even if that person is a scientist as well. We also have quite a lot of doctor Saints, so I thought I’d limit the list to a handful. 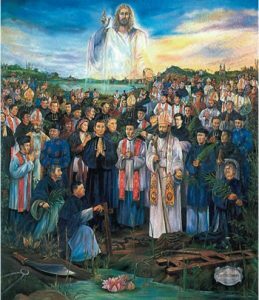 He was a Vietnamese doctor, and third order Dominican, who was beheaded by the Japanese for refusing to deny Christ. He was also a Vietnamese doctor and catechist who was strangled to death for his faith. St Mark Ji Tianxiang was an opium addict. Not had been an opium addict -- was an opium addict at the time of his death. He was a Chinese Christian doctor who treated the poor for free but became hooked on opiates after a stomach ailment. For 30 years, he was barred from receiving the Sacraments and prayed that he would die a martyr. Finally, his prayer was answered when he was captured during the Boxer Rebellion. He went to his death singing the Litany of the Blessed Virgin Mary. He was a prince, a father of 13, and a surgeon specialising in ophthalmology who operated on the poor for the fee of one Our Father. He was an Italian doctor and a religious brother in the order of the Hospitallers of St John of God. He served as a medic in World War I before becoming a doctor and entering religious life. He was a husband, father, third-order Franciscan, doctor, professor of biology, daily communicant, and founder of the University of the Sacred Heart. He was a leader in the Catholic Action movement and worked diligently to improve the lot of mentally handicapped children. 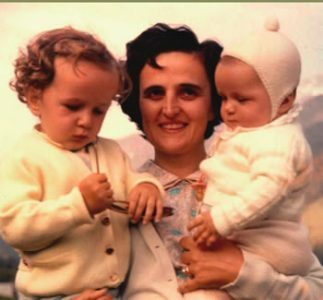 St. Gianna is, of course, famous for having refused to abort her child at the expense of her own life, but it wasn’t that sacrifice that made her a Saint, it was the life leading up to it that made it possible. Gianna was a pediatrician, a wife, and the working mother of four.